The article below states that Staten Island (NY) Monsignor Farrell's Dan Galford, who finished 4th (15:59) in the Boys Brown race at the recent Paul Short Run at Lehigh, is being courted by Villanova and Syracuse. Galford has taken an official visit to the latter and has one scheduled for Villanova. Galford is coming back from knee problems that put him on the shelf last season. Galford enters his senior season with PRs of 1:58.05 (800), 2:33.20 (1000), 4:22.58 (mile), 9:26.74 (2 miles), and 15:32.80 (5000). 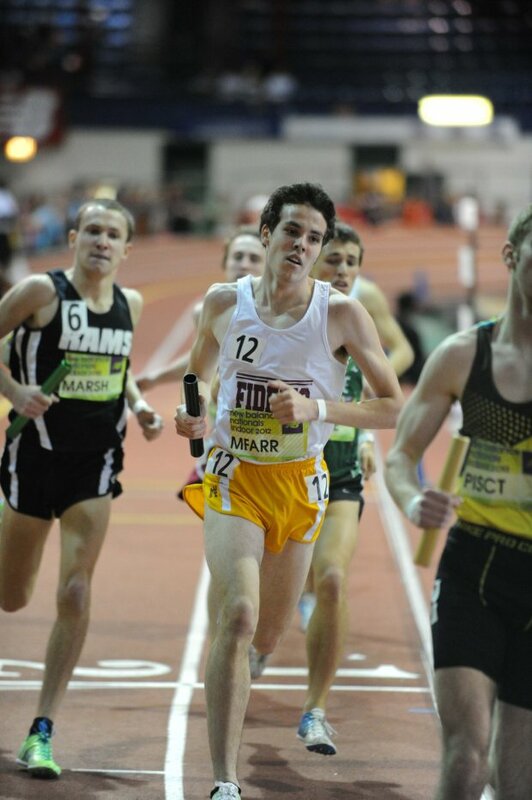 He qualified for the 2011 Nike Cross Nationals in Portland, where he finished 48th of 199 competitors, in 15:59.74. Galford's Mile Split page is HERE. 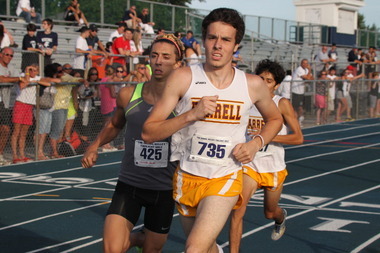 Mike Proffitt is new as the track coach at Monsignor Farrell after a long and successful run with the girls at St. John Villa, so he didn’t have much up-close-and-personal experience with Dan Galford, the star senior who anchors the Lions’ program. But here’s what he did know coming in, even from a distance. “I just know Dan, seriously, I know him as a warrior,” said Proffitt. “He loves to compete. That’s something you don’t want to take away as a coach because that’s something you can’t teach. Being a competitor like that is a great thing. That’s what I think makes him as good as he is. So imagine what it’s like for a kid like that when he’s told he can’t run, when his aching knees give him no choice. That’s what happened to Galford, the five-time Advance All Star in cross country and track and field who missed nearly all of the outdoor season last spring with tendinitis in both knees. 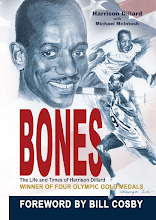 “The hardest thing in the world is to miss that much time and to watch your teammates run every day,” said Galford. “The one thing I never did was I never left at 2:30. I made sure I was here even if it was working out in the weight room or just helping out at the practices, watching the younger kids. After running a 4:15.6 1,600 when the Lions put together the second-fastest distance medley relay in Island history at the Arcadia Invitational in early April, Galford shut it down for two weeks to save himself for the Penn Relays. 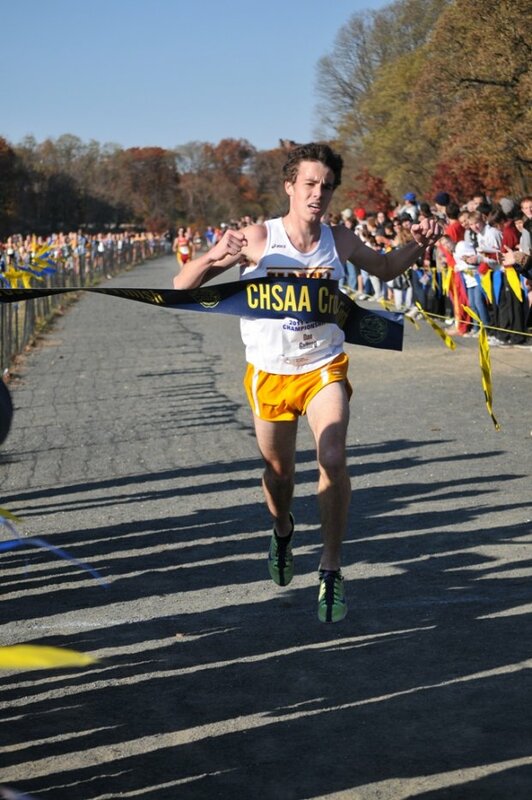 He tried one more race, the CHSAA Sectionals a month later. And that was the entirety of the outdoor season. Staten Island’s best runner spent more time visiting physical therapists and icing down his knees than he was able to spend on the track. Galford got back out running in June and started to feel like himself a bit in July, but then suffered a bad hamstring injury late in the summer. So getting back into things as the cross country season began at the beginning of September was a different experience coming off the injuries. But there was something else new as well, and that was Proffitt. After three seasons running for coach Tom Cuffe, Galford had a new coach to adjust to as he began his final high school season. “It’s different,” said Galford. “Changing everything about how you’ve been going about yourself for four years makes you question a lot of things. It’s hard. Your body has to go through some changes. Every day is going to feel a little different. You’re going to do things you never thought you were going to do. For Galford, it means he will be on his third coach in three years when he gets started in college next fall. That’s a lot of transition at a crucial stage in development for one of the top runners in Island history. Last fall he became just the third Island runner to reach the high school cross country national championship race when he ran in the Nike Cross Nationals in Portland, Oregon. Galford’s winning time in the CHSAA Intersectionals was the fastest in more than two decades and the best ever by an Island junior. His second-place finish in the State Federation meet — by less than a second — crushed the Island record on the course at Bowdoin Park in Wappingers Falls. For the next year, his development is in Proffitt’s hands. There is pressure with that, the coach acknowledges, but it’s a responsibility he’s confident about handling based on his own long experience. In taking over the Farrell program, Proffitt met with each of the runners individually to get to know them a little bit. What stood out about Galford were the high goals he set for himself. Galford’s ambitions extend beyond the high school level, to breaking the four-minute mile and competing for a national championship in college cross country. Part of the job, Proffitt knows, is looking forward to Galford’s future. He’s taken one official visit to Syracuse and has another planned for Villanova. He’s also heard from Iowa State and Wisconsin. Before he gets there, he’s gotten a hard look at the harsh realities sports can level at an athlete.